Woods began selling and writing music for Celtic harps in the 1970s, when the instrument was not widely known in the United States, she owns and runs the “Sylvia Woods Harp Center” in Glendale, California, the largest harp store in the world, as well as a harp mail order catalog, Facebook page and website. Woods toured with the famous scottish poet and musician Robin Williamson and His Merry Ban d in the 1970s and was featured on the group’s three albums. Celtic harps were not readily available at the time, so Woods was often approached after concerts by people who were intrigued by her instrument, which she had purchased in Ireland. In response to their multiple requests, Woods started selling harps and also began developing collaborative relationships with several instrument makers, encouraging them to build harps, and providing feedback on technical issues and user-friendly features. 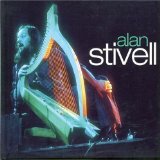 Noting a lack of repertoire and resources for the folk harp, Woods began writing and arranging music specifically for folk (or lever) harp in 1978. Woods’ first book, “Teach Yourself to Play the Folk Harp”, is perhaps the best-known tutor for lever harp, and has been the introduction to harp playing for thousands of musicians. In 1980 Sylvia won the prestigious All-Ireland Harp Championship in Buncrana, County Donegal, Ireland. And in 2003 she appeared with the legendary Irish band, The Chieftains, on their California tour. She was featured on the soundtrack of Dead Poets Society and Prancer, as well as other movie and TV soundtracks. She was also a guest performer on A Prairie Home Companion radio show three years in a row. In the December 1999 Harp Column magazine, Sylvia, along with Harpo Marx and other luminaries, was named one of the 45 “Most Influential Harp Forces of the 20th Century”. In January 2003 Woods performed with the legendary Irish band The Chieftains for their five California concerts. Woods has performed on the soundtracks of several major motion pictures, including Dead Poets Society, Prancer, and Only the Lonely, under the direction of Academy Award winning composer Maurice Jarre. In addition, Woods has performed on soundtracks for several PBS and commercial television shows. 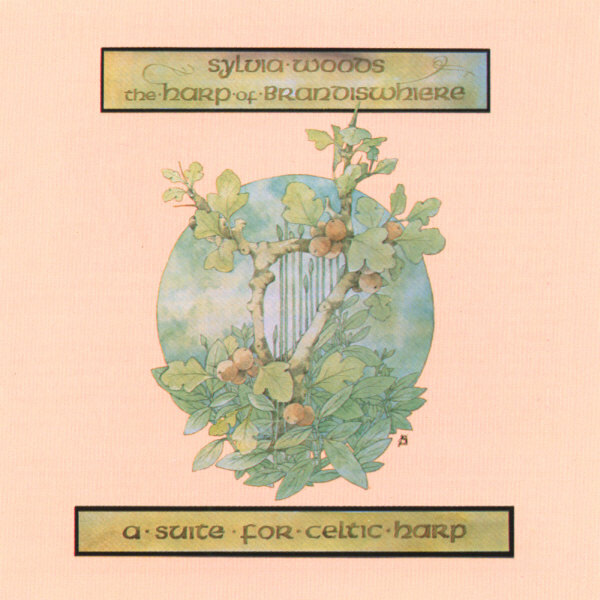 On the year 1982 she launches her first solo album: “The Harp of Brandiswhiere” , Sylvia Woods’ highly acclaimed “Suite for Celtic Harp.” Her beautiful compositions musically present the story of Brandiswhiere, a legendary magical harper written along with her husband. Sylvia plays both nylon-strung and wire-strung Celtic harps, and is accompanied by acoustic instruments such as trumpets, flutes, cimbalom, celeste, bass and percussion. The music is all instrumental, with no singing or narration, allowing the instruments to weave a fine and intricate aural tapestry to illustrate the legend. Sylvia Woods also has 2 CDs of Christmas music: “Three Harps for Christmas” Volumes 1 (1985) and 2 (1989) Please feel free to visit her official site at : The Sylvia Woods Harp Center or join the Facebook page for special offers! 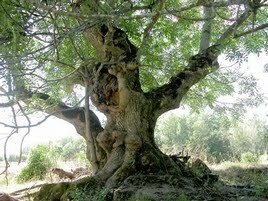 The ash tree was one of the sacred Druid trees. On the Celtic calendar, the month of Ash begins on Feb. 18 and goes through March 17. This is a great time to do magic that is associated with the inner self, ocean rituals, prophetic dreams and spiritual journeys. The Ash tree represented growth, expansion, and higher perspective, to the Celts. Ash was often used for making both mundane and magical tools like wands, brooms or spears.In ancient Celtic Ireland, the Ash tree was so sacred, that people refused to cut them down even when wood was scarce. The ash also gives its name to the letter N in the ogham alphabet. Together with the oak and thorn trees, the ash is part of a magical trilogy of sacred trees to the Druids. It is also said that if you place Ash berries in a cradle, it protects the child from being taken away by mischevious Faeries. To celebrate the Celtic tree month of Ash, do a ritual or meditation to the Ash full moon which falls on Feb 28. Filed under: Celtic Leagues and Orgs. They are a Gaeltacht-based company and publish books in Irish including novels, short stories, plays, poetry, biography, history, music, literary criticism, material for those learning Irish, teenage fiction and children’s books. They are also a traditional Irish music label and have an extensive catalogue of albums, including a large number of sean-nós recordings. J. – Do you think it’s a case of the grass always looks greener on the other side of the fence etc.? That people always prefer something that’s more exotic than what’s at home? They fail to realise the worth in their own Culture? A. – Yes, but also we were educated to feel ashamed of our own Culture, and to imitate another, this conditioning is at work in France. Even back to the Roman times, the French were ashamed to be Gauls, and they always tried to claim to be, andimitate, the Romans; and this inferiority complex has been behind French history. Of course the French have been very much against the Bretons , because the Bretons have been reminding them that they were a Keltic people. J. – A probletn we face in Scotland is that a lot of our early history is written from a Classical viewpoint and some people feel we need to re-write a true account of history from our Keltic viewpoint. Do you think that is important, or do you think that’s too much in the past? A. – I think it is important for us to recover everything from the past, everything we may have lost. I think most everyday Scots or Bretons are still more influenced by Homer and other Classical authors than by the Tuatha De Danann for example. I think people nowadays who want to be more free within the Keltic Nations have to re-educate themselves as to all the things that have been imposed on them in all the different fields. J. – Do you feel that if you try to put over that Keltic viewpoint of your own history and especially if you do it in connection with Spirituality and Religion? That there is a definite filter system in T.V. , press and radio? Does that obtain in Brittany as well? A. – It is not only any kind of alternative view, it is any kind of Breton Culture which is rejected because of French Control. Although we have a little more freedom these days , I was banned for about two years on all major T.V. or radio channels in Brittany after songs on the ‘Dublin’ album which were more political. J. – So do you think things are getting worse in Brittany or do you think they are improving slowly? A. – Improving slowly, but we are afraid that now we have a very tenuous hold. Five years ago we came very close to succeeding, in setting people on fire, in giving something very strong to this Breton Culture with all the young people learning the language etc. But now in ten years the situation has changed, for although we have a little more freedom, our Breton language has gone down, it is now only a language of second status, as Gaelic in Scotland or Eire. J. – What about using the médium of fijjns positively to promote our Keltic Art and Imagination? A. – We have an opportunity to go forward now if instead of the superficial mix of S.F. , Romance and Keltic themes on certain films, we could create films employing real Keltic spirituality, if they could portray a lot deeper beliefs. To find someone to make such a film, to create such a film is one of my dreams. For example, on my new album just released in Brittany (Terre des Vivants), it features a theme from Keltic Mythology on the 2nd side, the music of which I would like to be the basis for a film. I’m sure that it would be a very strong film, because the descriptions we find of the Keltic Otherworlds are more fantastic than anything we find in films at present. Even’Excalibur’only took the usual images of the Middle Ages, but if we were to take the images straight from the Mythology of Tir na Nog for example, it would be a very powerful image for everybody, not just Keltic People, but for everybody in the Western World and even for some people in the Eastern World. I think these symbolical ways of description are important, because I think I myself have gone into this way of experiencing the Keltic Universe. Not by being ‘educated’ in it, but by feeling my way into it personally, I have constructed a parallel World as compared to how the ancient Kelts described it. J. – Do you believe then that Keltic Mythology, Keltic Spirituality, has a relevance for young people today? A. – Relevant, yes, very much so. In Brittany recently we had perhaps one of the biggest revolutions in Europe for more than 50/5 of the young people to go to Breton dances, music etc. and now it is going into even deeper things. J. – So do you think that a Philosophy and Spirituality actually gives a strength to a Culture? A. – I think it is not only a question of strength, Keltic Spirituality will help us shake off the Catholic Church, which has repressed the people for a very long time. Although there are positive elements in Christianity, there is a lot in the Church we should reject. People need to be more personally conscious. I think the evils in the world are bringing more people to think about their own inner life. EDWARD (O’Donnelly) (staff member)- What we’ve been speaking about is evident in Scotland, many people are moved for example by the music of Run Rig, but if you were to try to speak to them they would be incredibly suspicious about the cultural or spiritual foundation for that emotion, We have a long way to go before we can influence the vast majority of the people with the spirituality of the Keltic countries. A. – I think it is good to let people try and feel what is in the music, there are sometimes many things in the music. J. – You said you thought there was value in Keltic Spirituality. If we are going to reject aspects of the Christian Church, have you anything coherent to replace that by? A. – I would like a kind of Druidism; at present this does not quite exist in Brittany yet, although there are people trying to create it. I think soon it will fuse, between the different forras of Druidism in Brittany, and when it has fused right, I will join with it. J. – I think a lot of the Druidical Organisations in Scotland, England and Wales are too old fashioned. They deal too much with old texts and not enough with modern life. A. – Yes, and at the same time they are influenced by aristocratic and bourgois ideáis, although the ancient Kelts had their Classes, origin-ally they had a much better arrangement of things. But those people today who wish an aristocratic society focus on that form of Druidism which was class-based. I think that the Kelts now can go back to the attitude where everyone in a society is potentially equal, or at least show consideration for each other. J. – So it’s almost Keltic Spirituality for the People at the grass roots level? A. – Yes, yes. We should not take the last few centuries of the ancient Keltic Civilization as a kind of model. I think we should re-evaluate it for today, in the last stages there was an Indo-European Patriarchy which was a bad evolution. I think we should try and get back to a more balanced approach. E. – Do you think there is enough within the remnants of the Keltic Tradition to put a coherent system together, or do we have to look more generally to the Western Esoteric Tradition? A. – I think there are different fields of influence we can draw from. Firstly Keltic, then Indo-European, other Nations, and finally Cosmic. Classical music is not close to Keltic as it has its ethnic roots in central Europe, similarly with Rock ‘n’ Roll, blending them with Keltic is good as experiments, but not as the mainstream of Keltic music. We should stay with our Music and accept influences from many other forms of music. J. – The overall picture you are giving there is that you should retain a centredness. Almost a rootedness in your own tradition and work and accept things from outside. A. – Yes, I think we should accept, and digest influences from elsp-where. For all through history cultures have been exchanging, it in the only way for them to grow, to evolve. J. – I think to assimilate what you take in (to transform it) throtiRh your own Culture. I know you have done several tours of the States in these last few years. How important or useful do you think peopl in America are in helping Keltic Culture to survive? A. 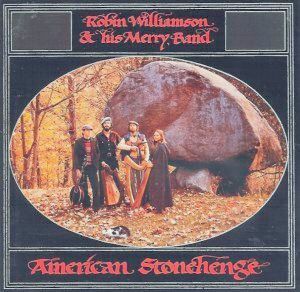 – I think in a big way the Americans will help our Keltic Culture to survive for now we are weak in Europe, our young people look to the American Music Scene, whilst if they only knew that many of the Americans are looking to our Music for inspiration, they are very fond of Keltic themes. We are educated to turn to things outside, especially we were educated to follow things from Paris, as we are now from New York. I think sometime we must turn back to our own. I had the chance to get an approach to this magnificent magazine through Wendy Newton from Green Linnet Records who kindly send me some volumes as a present by the 80’s. 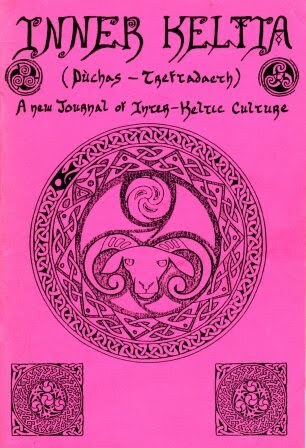 Thus I got acquainted of the outstanding work of J.A.Johnston (also known by his druidic name Kaledon Naddair ) who was it’s editor and reviewer.Besides several articles each volume contained amazing interviews like this one published on Inner Keltia 5 issued on Nov ’83 , and I thought worthy to post. 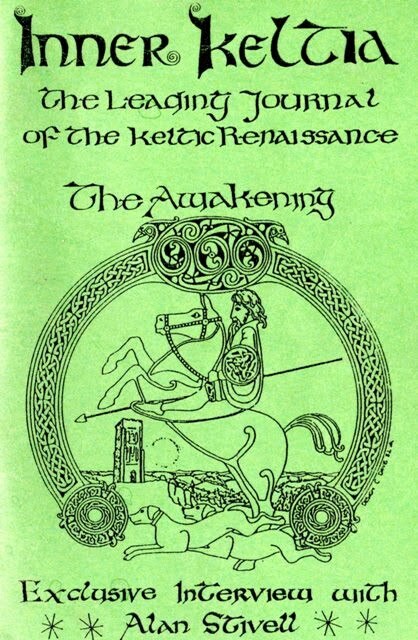 If you wish to purchase more of Kaledon books and works please feel free to visit the official website of Keltia Publications.For someone who has done more for Keltic Muaic than anyone else in the world Alan Stivell remains a very warm and amiable gentleman, with not the slightest trace of any ego-mania problems. After patiently waiting whilst I attempted (in vain) to eviot some gremlins from a borrowed tape recorder, the interview got under way in Alan’s dressingroom (after his Edinburgh Gig and whilst Rían Rig were power-ing away on stage above us). 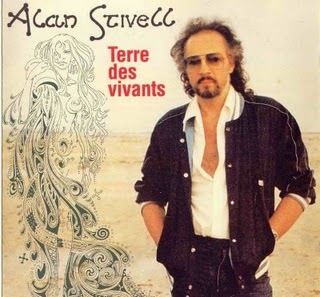 For some deep dialogue read on:-JOHN – Some people felt that on your album “Terre des Vivants” there were some apocalyptic overtones. Is this reflected in Brittany at present? Do you think that there will be some very dramatic changes in Brittany, or will they be very slow and gradual? ALAN – Yes, I think we are in a very dramatic period, I think the people in Brittany will have to give out a very strong cry, a shout for survival, if we are going to pass through this era. We were disparing one or two years ago, we felt we had to put as much energy as possible into the struggle, without knowing the result. I felt that although it was not the end of Keltic Civilization it was a time for ‘shouting’ (affirming your right to be). And now we must ‘explode’, to pass through into the New Age. J. – Do yon think it’s a case of either we will pour enough energy into Keltic Culture and take it through that transition point or, if ve don’t put enough energy into it, it will die? A. – Whilst committin’g ourselves, I think we must choose to save those things which bind us together, I mean those Keltic traits that we hold in common, that make us stronger. I think we need to take our distinctiveness, and show it to the other Nations of the World. We need to search out what is in common to the Keltic Peoples and push it through, on to the next century. J. – Obviously Society is changing becoming more modern, more technological. Do you think our Keltic Culture will have to transform itself at the same time, to become more modern, more sophisticated, to pass through to the “New Age”? A. – The Keltic Peoples haven’t spoken for a long while, but now in this crucial time we are beginning to speak. I think that is good. We have experienced the worst of the old technology, and now there is a new technology developing, a non-polluting technology connected with the Sun, Wind and Waves. I think the Keltic Soul is more with this type of technology. I think the Kelts have something to say in this field. J. – Some people would say that linking up Keltic Nations is an ideological dream. Do you think it is actually feasable to link them as independent Nations? A. – I don’t see any other way of surviving as Kelts, if we haven’t the right to our own Political Federation. I think it is Eutopic, but possible. J. – In attempting to set this up some people place a lot of emphasis on the political approach, others on language, others on Art, Music and Poetry. What is your personal view? A. – What I consider is that people are choosing their way too much, some political militants think that music is only something to bring people to Political meetings. What I think is that all of these things should be worked in common, there should be more conciousness between how we use political action and more intemporal inner philosophy. J. – I think this is something quite noticeable in the Breton people, which is sadly lacking in the Scottish People, and that is, you personally and other people in Brittany seem to be able to blend a Spirituality with a practical grass roots politics. A, – I think this is very new, even in Brittany people are not very involved with Spiritual things, maybe they were too much under the French rationalistic view. I think, now with the new generation, a more Spiritual view is growing.